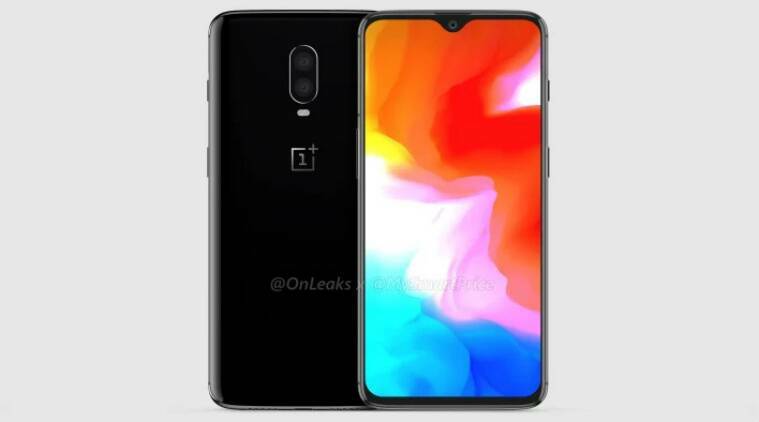 OnePlus 6T has been spotted through image renders as well as a 360-degree video. The phone is expected to launch in mid-October. OnePlus 6T has been leaked again, and this time through the 360-degree renders. These have been posted online by @OnLeaks and MySmartPrice, and confirms almost all of the phone’s design specifications. OnePlus 6T is expected to be launched globally next month, and could be launched in India soon after. As per the latest leaks, one can spot the entire look of the phone, along with key hardware components. Majorly, one can find a waterdrop-style notch over the display, which has been seen through previous leaks, that is modelled around Oppo R17. With this, one can also expect the upcoming flagship to feature a greater screen-to-body ratio in comparison to OnePlus 6. Also, the phone’s back does not hold a fingerprint sensor, which also falls in line with the in-display fingerprint sensor that has been expected on OnePlus 6T. OnePlus itself had introduced the ‘Screen Unlock’ feature, that is expected to debut with this phone. The OnePlus 6T leaks also show that the phone does not hold a 3.5mm headphone jack. This confirms that the upcoming OnePlus flagship will only support Bluetooth headphones, and also indicates the possibility of Bullets Wireless 2. Also, the leaked images more than confirm that OnePlus 6T will also have a dual-rear camera configuration, though the exact specifications are yet to be known. Rumours indicate that OnePlus 6T will feature a 6.4-inch AMOLED display with 19.5:9 screen aspect ratio, and will run the Snapdragon 845 processor. The phone will be based on Android 9 Pie, and will continue to offer Face Unlock. In India, the OnePlus 6T will be available as an Amazon exclusive.